Each week, San Francisco’s Rockwell-esque families pull their kids, rescue dogs, and farmer’s market haul home in the types of all-terrain carts that people with IPO income tend to purchase. We’re talking about $400+, canopy-bedecked, fold-up wagons, or—as we like to call them—swagons. But for folks who simply enjoy a good park day or the occasional flea market excursion, a modest fold-up wagon is still a smart purchase. Consider all the times you’ve barely made it home from the Ferry Building farmer’s market weighed down with bags of locally-grown kale. Take a moment to remember when you had to coordinate with friends to pick up the 800 cans of La Croix you were unloading from a Lyft at Dolores Park on a sunny day. And what about the Alameda Flea market treasures you passed up because they were too bulky for your reusable totes? Granted, these are 100-percent, bougie Bay Area problems. That’s why they deserve a 100-percent, bougie, Bay Area solution: a wagon. 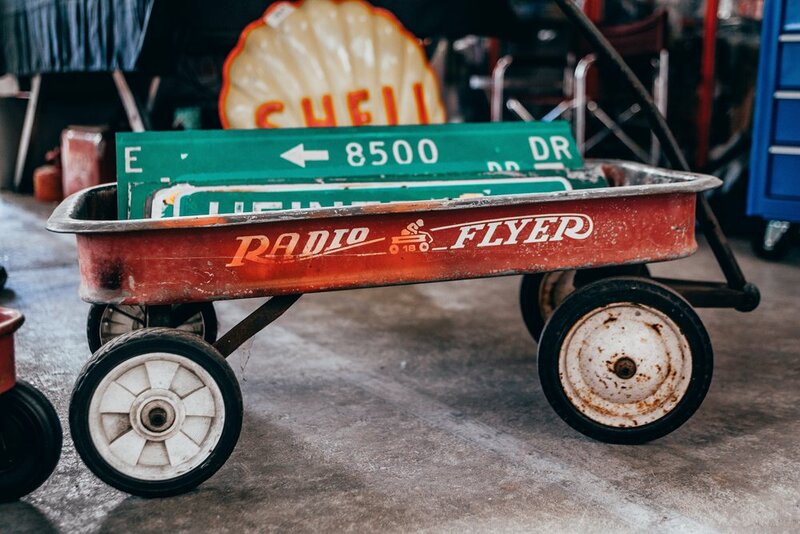 You may balk at the idea of taking away precious space in your apartment with a wagon, but folding wagons tend to be lightweight, (about 20-30 lbs) and fold to fit into a small space, (less than 2 sq. ft.) They can fit into the back of a closet and the trunk of your rideshare. They take up less space than a roll-aboard carry-on bag, and—if you’re really in a storage pinch—you could nest one inside that roll-aboard carry on bag when you’re not using it. In the grand scheme of things, a wagon is not an “essential.” If you have to make a choice between buying a wagon and paying your bills, pay your bills—no question. But if you have disposable income and you enjoy gathering with friends outside on a gorgeous San Francisco day, a wagon can make those gathering less stressful and (hopefully) more frequent.